What’s your question and where it is taking you? I would guess that most of us have, at one point or another in our lives, contemplated our “life’s purpose,” which according to Paul G. Mattiuzzi, a licensed psychologist, “is sometimes difficult and…has no end point.” The weight of such enormous soul searching can feel like an elephant on our psyche. So this year, perhaps it’s time to take a different approach. Forget finding your purpose and instead, discover your life’s question. In this podcast, Lesley Jane Seymour talks about discovering her life’s question. This question is one that each of us has been asking ourselves, whether we realized it or not, for the entirety of our lives. It is a fundamental question that has driven our decisions, often without us even realizing its compass-like pull. And here’s the best part, it’s a question that we don’t need to know the answer to, that’s why it’s a question. For example, Lesley Jane Seymour’s life question is: how do I change the world? That one question was underneath a multitude of decisions in her life, driving her choices and actions. Your life’s question may be just as big, or perhaps not as grandiose. It’s the question that is woven throughout the years of your life in intricate and complex threads. It’s the question that leads you to the rainbow of answers that are your choices and decisions. And guess what, your life’s purpose lies in the answers to that question. Pretty cool huh? If you aren’t sure of your question, take a few minutes today to go into the quiet and listen. And if you have a hard time quieting your mind, try these inner peace meditations from Mentors Channel. Start 2015 by discovering your life’s question, then see where it takes you this year. Happy New Year! 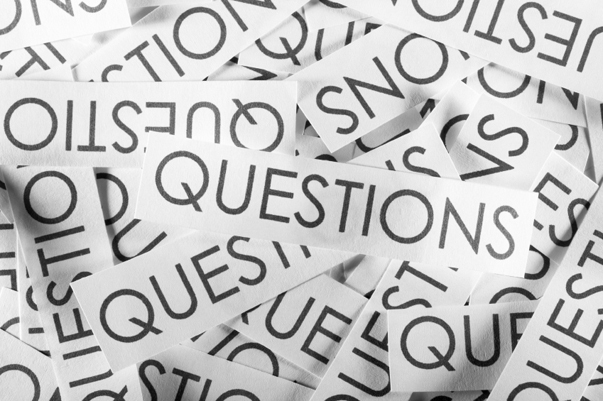 Note: I would love to hear your life questions, and where they’ve taken you; please share them in the Comments section! Hi Heather, My question is: “How do I connect people (to their intuition, to each other, to their higher truth, to their healing, to a goal etc. )?” It’s woven through my life, even my experience with Mea’s mom. I still can’t think of an answer there.. maybe how do I encourage others? I like that Heather, it definitely sounds like what you do! Questions are my funnel, more deciding than the answers that pass through. The question is how can I reflect the wholeness I see in you? Can I be safe enough, clear enough, loving enough to not frighten you with your own magnificence? A deeper truth is always waiting. You need nothing, but to undo what was never you…to fall in love within, to see the love throughout. We need to walk each other home. What a wonderful post and question, thank you. I love your question, and I love “we need to walk each other home.” So very true.